The summer holidays were over, the kids were back at school, we were heading into autumn … but some things don’t change with the seasons. And in September, UNISON members remained focussed on the year-round business of sticking up for public services and public service workers. The union celebrated some well-earned victories. In Basildon, hospital cleaners won their battle for a pay rise. The low-paid domestic staff at Basildon University Hospital had been on the minimum wage after being transferred back into the NHS from private contractor OCS two years ago. 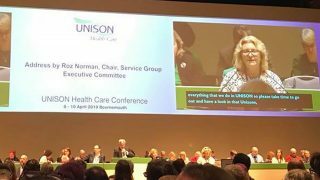 But following pressure from UNISON, the cleaners won a 3% pay rise, backdated to April, and they will all be returned to full NHS contracts in December. 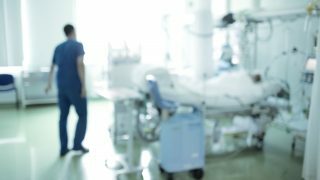 That success might give heart to members on the other side of the country, next month, when hospital cleaners, catering staff and porters will be among the staff joining a 48-hour strike at Royal Bolton Hospital, to demand pay parity. Back to September, and UNISON hailed a U-turn on outsourcing by the Tees, Esk and Wear Valleys Trust as a “fantastic victory”. The trust had planned to outsource more than 500 non-clinical staff – including maintenance workers, porters, housekeepers and caterers – to a private company it had set up. Many of them had worked for the health service for more than 20 years. But the trust eventually announced that it was dropping the plans, after opposition from UNISON, the RCN and local MPs. The union also maintained its long-term campaigning, on several fronts. Council workers went to Westminster to tell MPs that local services have reached breaking point and to win support for UNISON’s campaign to #SaveOurLocalServices. The campaign urges the government to use November’s budget to free the funds councils so desperately need. Some 21,000 council workers took part in a UNISON survey in June, which definitively showed that councils are at breaking point. In turn, that led to almost 60 MPs wanting to talk to local government members on the frontline of the crisis at the parliamentary event. 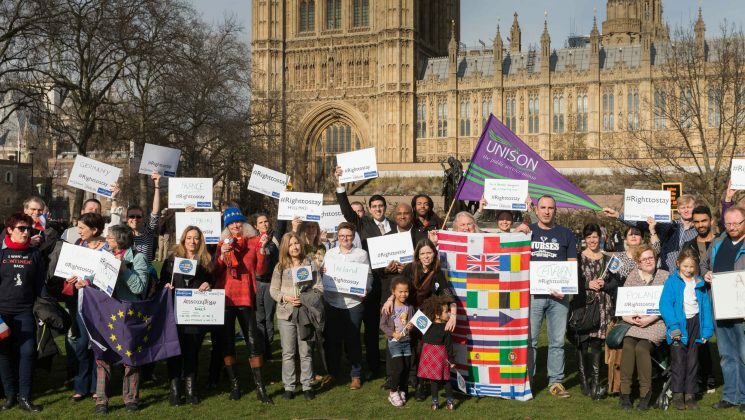 Meanwhile, in response to the ongoing farce of the Brexit negotiations, UNISON launched guidance for EU members and branches on the new settled status requirements for those who wish to continue living in the UK after its exit from the European Union. The union also introduced dedicated Brexit campaign pages on its national website, offering news, information and advice relating to UNISON’s efforts to protect the rights, jobs and livelihoods of all its members in the uncharted territory of Brexit. Whatever happens, it’s wise to be prepared. 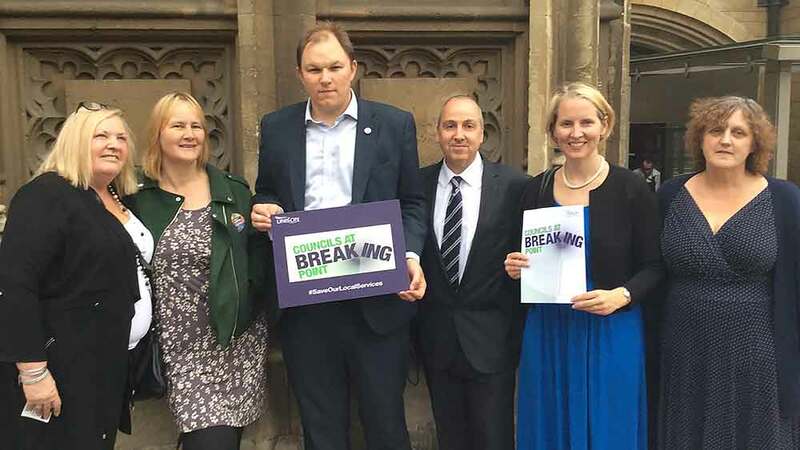 In further education, UNISON was among the unions and employers coming together to launch a campaign to save the sector. As the cuts to FE funding bite ever deeper, colleges are finding it increasingly difficult to recruit and retain staff. Constant ‘restructuring’, rising job insecurity, unmanageable workloads and declining pay are all adding to the crisis. The Association of Colleges – the employer’s association in England – wants to offer a substantial pay rise, but without a significant injection of funding from central government will be unable to do so. The campaign will show its teeth in October, when the employers, all the further education unions in England and students will join together to lobby MPs at Parliament for proper funding. If anyone needed a reminder of why every campaign is an urgent necessity, UNISON published a report containing perhaps one of the most shocking statistics of any report… ever. 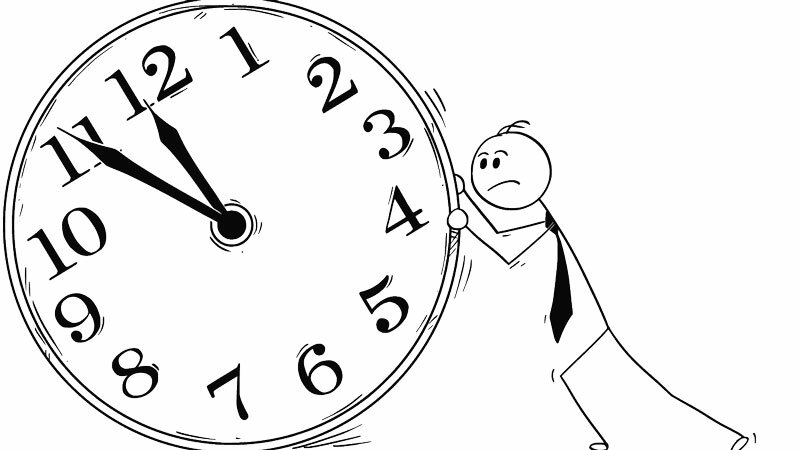 It appears that public services support staff – including teaching assistants, hospital porters and police community support offers – are doing more than 40 million hours of unpaid overtime a year. Yes, that’s 40… million. The figure is the equivalent of 25,000 extra public service staff working full time. It highlights both the impact of years of job cuts and how far workers are prepared to go to keep services running efficiently. “Labour has set out a radical, inspiring and achievable alternative to Conservative economic chaos,” Mr Prentis said. Since the 2016 EU referendum, we have been campaigning to protect the rights of EU citizens living and working in the UK.